Home announcements Applications game Review Play And Learn With Animals 360! Play And Learn With Animals 360! • The photo mode enables your child to see all sorts of photos of animals from all around the world, including large popular animals like a zebra, and smaller less-popular animals like a woodpecker. And there’s not only one image for each creature, but there are actually three! This is perfect for children who love certain animals and who want to see more of them, and the three photos give you different angles to view the animal from as well. • If you’re looking for something that is more interactive than the photo mode, Animals 360 features quizzes and puzzles as well: a Quiz mode shows the child four photos of animals and plays an animal sound and then asks to pick which animal matches the sound. 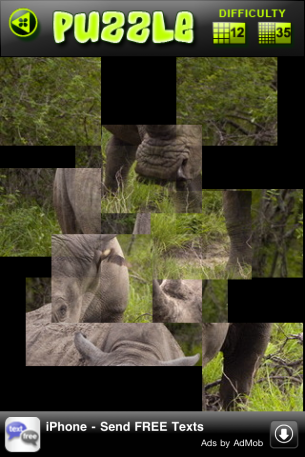 The puzzle mode allows children to complete a simple jigsaw puzzle of animals. • The Tour mode is all about showing what habitats animals live in. Moreover, children can then tap on the animal that they see on the screen in order to hear the sound that the animal makes. Having said that, Animals 360 is the perfect app for your kids with all the fun sounds, different animals and beautiful photos for FREE! The app is available in the Apple App Store and requires iOS 4.2 or later to be fully functional.